True for many of the first nine presidents, William Henry Harrison was far more interesting than I expected. Born into Virginia aristocracy, he headed west seeking excitement – and opportunity – and quickly found his life packed with both. Before turning twenty, Harrison was an officer in the army and a student of Indian affairs. By the age of twenty-five he had been appointed Secretary of the Northwest Territory, an area nearly the size of present-day Alaska. And before turning thirty he was the Governor of Indiana Territory (which probably seemed a bit like running your own country in those days). During much of this time he “negotiated” land cessions on behalf of the United States government (which meant Thomas Jefferson most of that time) and periodically battled rogue tribes to advance America’s Indian policy. 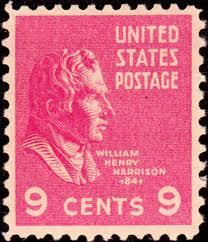 Harrison retired from military service after losing a political battle to Secretary of War John Armstrong (the same government official whose incompetence welcomed the British to Washington DC during the War of 1812). But Harrison was not off the public scene for long. In separate stretches between 1816 and 1828 he served as a Congressional representative and as U.S. Senator from Ohio. He later volunteered to serve as U.S. minister to Colombia and moved to Bogota (a stint which lasted barely more than a year for a variety of reasons – none of them drug-related). After a quiet half-dozen years, he ran for president in 1836 and lost to Martin Van Buren. But the Van Buren administration was unable to revitalize the faltering economy or capture the public’s gaze as had the Jackson administration before it and in 1840 Harrison was elected President of the United States. He served as President for just thirty-one full days before succumbing to illness. Opium and leeches, it seems, were not sufficient to ward off pneumonia and sepsis. 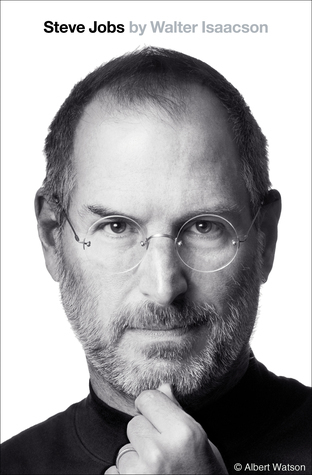 The second biography of Harrison I read was “Mr. Jefferson’s Hammer: William Henry Harrison and the Origins of American Indian Policy” by Robert Owens. In contrast to Cleaves’s book, this is a less-than-full-scale biography of Harrison and was written much more recently. Although the limited scope of Owens’s biography is disappointing, the two-and-a-half decades of Harrison’s life, which serves as the book’s focal point, proves extremely well-written and quite interesting. Normally I wouldn’t have commented, but just in case my busted IE browser left tons of footprints on your page I just thought I’d say it wasn’t intentional. I actually had to bring up chrome just to read your page. Jon Meacham’s Jefferson biography The Art of Power. No problem at all! The last thing William Henry Harrison has is a problem with too much attention or traffic. I’ll be interested to see what you think of Meacham’s bio of TJ. I found it enjoyable/entertaining (if not super-scholarly) but a lot of folks really have a problem with it. Like you discovering the presidents through biographies, I find they are much more interesting after visiting their homes and libraries. They have much more interesting and complex lives than you can get in school when there is so much material to cover. Love your website! Thanks for sharing this with the rest of us. It’s now my “go to” place to select my next book. I know you tend to avoid the short bios, but I loved Gail Collins’ “William Henry Harrison,” part of the American Presidents series. I had “Mr Jefferson’s Hammer” checked out from the library for a long time but just couldn’t get into it. Then I tried “The Log Cabin Campaign” by Robert Gray Gunderson, which was interesting, but I felt as though it wasn’t enough of a biography to count. Finally I found the Collins book and it really is great. So easy to read — took me two days and I probably could have read it in one sitting — and yet very insightful. If no one minds a little speculation, how do you think Harrison’s term would have gone had he lived? Interestingly, several men turned down the vice presidential spot in 1839 before Tyler accepted. Henry Clay refused, then John J. Crittenden, then Benjamin Watkins Leigh, who suggested Willie Person Mangum (not present due to his wife being ill, but he said he would have accepted). Finally John Tyler was approached, and accepted. The Southern Whigs were very interesting, and I hope you cover Willie Mangum in your follow-up.